Knowledge Quest 42(3): 37-45 (2014). There never has been a need for the common core and there is no evidence that it will do students any good. The common core ignores the real problem in American education: Poverty. The common core will continue the process of turning schools into test-prep centers, and bleed billions from places the money is badly needed, where it can help protect children from the effects of poverty. The only real goal of the common core is to do the opposite, to profit a small group of the elite, the .01% at taxpayer expense, a classic case of "take from the needy, give to the greedy." There has never been a need for the common core, and there is no evidence it will do students any good. The major argument for the common core is the assertion that our schools are terrible and that something needs to be done about the situation. The only evidence cited in support of this argument is the claim that our international test scores are very low. We must therefore force students and teachers into doing better. This "improvement" will be done by establishing tough standards that control what is taught and by testing students on the standards, thereby making sure that the standards are taught. But analyses of our international test scores have revealed that American international test scores are nowhere near as bad as critics claim and that they have not declined (Loveless 2011). In fact, when we control for the effects of poverty, American students rank near the top of the world (Carnoy and Rothstein 2013). Our overall scores are unspectacular because of our high rate (more than 23%) of child poverty, the second highest among all industrialized countries (UNICEF, 2012). In comparison, Finland, a country that consistently has high scores, has about 5% child poverty. The products of our educational system do very well: The U.S. economy is ranked as the fifth most innovative in the world out of 142, according to the 2013 Global Innovation Index, which is based in part on the availability of education, new patents and the publication of scientific and technical journal articles (Cornell University, INSEAD, and WIPO, 2013). Every indication points to a continuation of this record of success. Our educational system is doing much better than it needs to in the area of science and technology. In the US two to three qualified graduates are available for each science/tech opening (Salzman, 2012; Salzman and Lowell, 2007, 2008; see also Teitelbaum, 2007) and according to the Atlantic (Weismann, 2013), the US is producing more Ph.D.s in science than the market can absorb. Finally, there is no evidence that having national standards and increasing testing have improved student learning in the past (Nichols, Glass and Berliner, 2006; Tienken, 2011). on international tests. This finding confirms that poverty is the major factor in determining school achievement, a finding that is consistent with the results of many studies showing the powerful negative impact of poverty on many aspects of learning, including, of course, reading comprehension and other aspects of literacy development (e.g. Biddle, 2001; Duncan and Brooks- Gunn, 2001). Studies have documented how poverty impacts school performance: Food insecurity, lack of health care, and lack of access to books, among other aspects of poverty, all have devastating effects on student's ability to learn. Children of poverty are likely to suffer from food insecurity (hunger and concern about future availability of food). Studies (Coles 2008/2009) show that food insecure children more likely to have slow language development and problems in social behavior and emotional control. They are more likely to miss school days, repeat a grade, and have academic problems. The effects of food insecurity are reversible: when previously food-secure children experience food insecurity, their reading development slows down relative to food secure children. But "a change from food insecurity to food security can bring concomitant improvements: the study also found that poor reading performance for food insecure children in the beginning grades was reversed if the household became food secure by 3rd grade" (Coles, 2008/2009). High-poverty families are more likely to lack medical insurance or have high co-payments, cicumstances that result in less medical care, and more childhood illness and absenteeism, which of course negatively impacts school achievement. David Berliner cites studies showing that "children in poor families in most states are six times more likely to be in less than optimal health, experiencing a wide variety of illnesses and injuries, as compared with children in higher income families" (2009, p. 16). School is not helping: Poor schools are more likely to have no school nurse or have a high ratio of students to nurses (Berliner, 2009). There is very clear evidence that children from high-poverty families have very little access to books at home, at school, and in their communities (Newman and Celano, 2001; Duke, 2001; additional studies reviewed in Krashen, 2004). Studies also show when children have access to interesting and comprehensible reading material, they read (Krashen, 2001; 2004). And finally, when children read, they improve in all aspects of literacy, including vocabulary, grammar, spelling, reading and writing ability (McQuillan, 1998; Krashen, 2004). In fact, the evidence is strong that reading for pleasure, self-selected reading, is the major cause of advanced literacy development. Making sure that all children have access to books makes literacy development possible. Without it, literacy development is impossible. 2010) Krashen, 2011). Multivariate studies show that the positive impact of school libraries can be as strong as the negative impact of poverty on reading achievement (Achterman, 2008; Krashen, Lee and McQuillan, 2012): in other words, a good library can offset the effect of poverty on literacy development. The implications are straight-forward: until poverty is eliminated, until we have full employment at a living wage, we need to protect children from the effects of poverty. This reality means they need adequate food programs, improved health care, including providing more school nurses in high poverty schools, and, of course, more investment in libraries and librarians. As readers of this journal know, however, library funding is not being increased: It is being cut (Kelley, 2010). There is an obvious way to free up money that could be used to support food programs, increased health care and libraries and librarians: Reduce testing. An unprecented amount of testing has been planed to monitor compliance and achievement under the CCSS, far more than the amount done under No Child Left Behind and far more testing than has ever been seen on this planet (Krashen, 2012). The new tests will include the usual end of year tests, but in more subjects, and in more grade levels, as well as interim tests during the year and possibly pretests in the fall to measure improvement over the academic year. All tests are to be delivered online. Therefore all students must have access to the internet, with up-to-date equipment. Providing this access will involve a staggering expense, and one that promises to increase as systems require updating, replacement, and even complete overhauls as progress is made in technology (Krashen and Ohanian, 2011). All this effort and expense are planned despite the fact that there is no evidence that standards will help, that new tests will help, or that online technology will help. What is clear is that the testing and computer industry will profit, and taxpayers will pay the cost of setting up the infrastructure and supporting the numerous adjustments and changes, as software and hardware regularly become obsolete. I need to point out that I am not presenting an argument against all standardized testing. My position is that we should have only standardized tests that actually do some good, that help with teaching and learning (Krashen, 2008). My position is No Unnecessary Testing (NUT). Desite the claim that the standards do not tell teachers how to teach, the nature of the language arts standards (especially Reading: Foundational Skills, Writing, and Language) make it hard for teachers to do anything but direct instruction. 2010b). The creators of the language arts standards appear to be unaware of the extensive and deep criticism of the National Reading Panel's conclusions, and the unimpressive results of Reading First, which was based on the these conclusions (Garan, 2001, 2002; Krashen, 2001b; 2005; 2009; Allington, 2002; Coles, 2003). Second, the common core standards are so demanding that there will be little time for anything not directly linked to the standards in English language arts classes. Nor should there be, according to the Publisher’s Criteria: “By underscoring what matters most in the standards, the criteria illustrate what shifts must take place in the next generation of curricula, including paring away elements that distract or are at odds with the Common Core State Standards.” (Coleman and Pimental, Publishers, Criteria, 3-12, page 1). As Ashley Hastings has pointed out, the common core is clearly more than a “core”: it is the entire apple. Third, constant high-stakes testing ensures direct teaching. As noted above, the standards will be enforced by a massive amount of testing, including “interim” testing through the academic year, to make sure students stay on their “educational trajectory.” (Duncan 2009). Performance on these tests will have serious consequences for students, for teachers, and, we are told, even for schools of education: “We need comprehensive data systems that do three things, track students throughout their educational trajectory, ... track students back to teachers...track teachers back to their schools of education.” (Duncan, 2009). The pressure to stick with what is in the standards will be extreme, and the force of constant testing will ensure that direct teaching methods will be used; educators will be concerned that there is no time for the target structures to emerge naturally; it may not happen in time for the next test. In short, it is likely that language arts will consist entirely of direct instruction, with no time for self-selected reading. 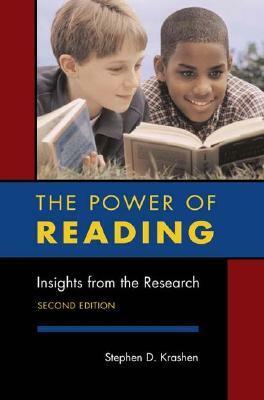 This is in conflict with the massive research that shows direct teaching of aspects of literacy produces very limited results and that most of our literacy and academic language competence is the result of reading, especially self-selected reading. “Students need opportunities to stretch their reading abilities but also to experience the satisfaction and pleasure of easy, fluent reading within them, both of which the Standards allow for" (CCSS Initiative 2010b, 9). The quote sends the message that hard reading requiring grim determination is the real stuff, the true way to "stretch reading abilities." Easier, more comprehensible reading that we actually enjoy is fine for a break, but only to experience some "satisfaction and pleasure." The ELA Standard's Appendix A does not cite any of the plentiful research that strongly indicates that reading that does not require struggle is the source of nearly all of our literacy competence, that it is the bridge between "conversational" language and "academic" language. The common core standards do not allow “easy reading”: The publisher's criteria explaims that materials for independent reading “need to include texts at students’ own reading level as well as texts with complexity levels that will challenge and motivate students.” (Coleman and Pimental, 2012b, p. 7) Nothing below the readers' current official level is allowed. The creators of the CCSS seem not to be aware that reading below one's current official level can be beneficial; reading level is an average – "easy" texts often contain plenty of language above one's level; easy reading provides background knowledge; and easy reading can increase enthusiasm for more reading (Krashen, 2005). The common core movement will be a disaster for school libraries and will have a negative impact on nearly every aspect of our educational system. Like other major educational organizations, the school library organizations have dedicated their efforts to finding a way to live with and adjust to the common core. In fact, a current argument for supporting school libraries is that school libraries and school librarians can help students meet some of the requirements of the common core. 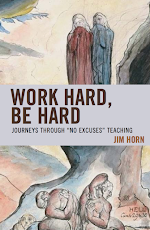 Given the serious problems with the common core (it is unsupported by research, it creates a rigid, test-prep version of schooling, and there is the real possibility that it will drain every spare dollar from the educational system), to borrow from Alfie Kohn's comments about efforts to privitize education, we should not be "scrambling to comply with its provisions." Rather we should be trying to figure out the best ways to resist (Kohn 2004). We should, at a minimum, demand that experiments and descriptive studies of groups of students be carried out so that the standards and measures can be evaluated. Instead, states whose departments of education and legislators jumped on the common core bandwagon are is using their entire student populations of the as experimental subjects. When the new standards and technology fail to produce dramatic results, "experts" will blame teachers and call for tougher standards, and even more testing, requiring newer (and even more expensive) technology. And the profits for the .01% will be even greater. Like other groups, school librarians have argued that the common core is inevitable; the train has already left the station. Yes it has, but it has not yet arrived. The public has little idea what the CCSS require, and no idea of what its drawbacks are. If the public were aware that the CCSS is, “a radical untried curriculum overhaul and ... nonstop national testing” (Ohanian, 2013), it would be halted immediately. Achterman, Douglas. 2008. “Haves, Halves, and Have-Nots: School Libraries and Student Achievement in California.” PhD dissertation, University of North Texas. (accessed October 12, 2013). Allington, Richard L., ed. 2002. Big Brother and the National Reading Curriculum: How Ideology Trumped Evidence. Portsmouth, NH: Heinemann. Berliner, David C. 2009. Poverty and Potential: Out-of-School Factors and School Success. Boulder and Tempe, AZ: Education and the Public Interest Center, and Education Policy Research Unit. (accessed October 12, 2013). Biddle, Bruce J. 2001. “Poverty, Ethnicity, and Achievement in American Schools.” In Social Class, Poverty, and Education, edited by Bruce J. Biddle, 1–29. New York: Routledge. Carnoy, Martin, and Richard Rothstein. 2013. What Do International Tests Really Show Us about U.S. Student Performance? Washington, DC: Economic Policy Institute. (accessed October 12, 2013). Coleman, David, and Susan Pimentel. 2012a. Revised Publishers’ Criteria for the Common Core State Standards in English Language Arts and Literacy, Grades K–2. (accessed October 12, 2013). ———. 2012b. Revised Publishers’ Criteria for the Common Core State Standards in English Language Arts and Literacy, Grades 3–12. (accessed October 12, 2013). Coles, Gerald. 2003. Reading the Naked Truth: Literacy, Legislation, and Lies. Portsmouth, NH: Heinemann. ———. 2008/2009. 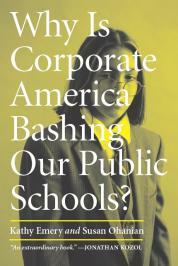 “Hunger, Academic Success, and the Hard Bigotry of Indifference.” Rethinking Schools 23 (2). (accessed October 12, 2013). Common Core State Standards Initiative. 2010a. Common Core State Standards for English Language Arts and Literacy in History/Social Studies, Science, and Technical Subjects. (accessed October 12, 2013). ———. 2010b. Common Core State Standards for English Language Arts and Literacy in History/Social Studies, Science, and Technical Subjects, Appendix A: Research Supporting Key Elements of the Standards; Glossary of Terms. (accessed October 12, 2013). Cornell University, INSEAD, and WIPO. 2013. The Global Innovation Index 2013: The Local Dynamics of Innovation. (accessed October 12, 2013). Duke, Nell. 2000. “For the Rich It's Richer: Print Experiences and Environments Offered to Children in Very Low- and Very High-Socioeconomic Status First-Grade Classrooms.” American Educational Research Journal 37 (2): 441–78. Duncan, Arne. 2009. "Excerpts from Secretary Arne Duncan’s Remarks at the National Press Club" < http://www.ed.gov/blog/2009/06/excepts-from-secretary-arne-duncan%E2%80%99s-remarks-at- the-national-press-club/> Accessed October 16, 2013. Duncan, Greg J., and Jeanne Brooks-Gunn. 2001. “Poverty, Welfare Reform, and Children’s Achievement.” In Social Class, Poverty, and Education, edited by Bruce J. Biddle, 49–75. New York: Routledge. Garan, Elaine M. 2002. Resisting Reading Mandates: How to Triumph with the Truth. Portsmouth, NH: Heinemann. Kelley, Michael. 2011. “LJ’s Budget Survey: Bottoming Out?” Library Journal 136 (1): 28–31. Kohn, Alfie. 2004. “Test Today, Privatize Tomorrow.” Phi Delta Kappan (April). Krashen, Stephen. 2001. “ ‘Do Teenagers Like to Read?’ Yes!” Reading Today 18 (5): 16. (Still) Wrong.” Phi Delta Kappan 86 (6): 444–47. (accessed October 13). ———. 2008. “A Fundamental Principle: No Unnecessary Testing (NUT).” Colorado Communicator 32 (1): 7. (accessed October 13, 2013). ———. 2009. "Does Intensive Reading Instruction Contribute to Reading Comprehension?" Knowledge Quest 37 (4): 72-74. ———. 2011. “Protecting Students against the Effects of Poverty: Libraries.” New England Reading Association Journal 46 (2): 17–21. ———. 2012. “How Much Testing?” Diane Ravitch’s Blog (July 25). (accessed October 13, 2013). Krashen, Stephen, Syying Lee, and Jeff McQuillan. 2012. “Is the Library Important? Multivariate Studies at the National and International Level.” Journal of Language & Literacy Education 8 (1): 26–36. (accessed October 13, 2013). Krashen, Stephen, and Susan Ohanian. 2011. “High Tech Testing on the Way: A 21st Century Boondoggle?” Living in Dialogue (Apr 8). (accessed October 13, 2013). Lance, Keith Curry. 2004. “The Impact of School Library Media Centers on Academic Achievement.” In School Library Media Annual, edited by Carol Kuhlthau, 188–97. Westport, CT: Libraries Unlimited. Lance, Keith, and Jamie Helgren. 2010. “The Impact of School Libraries on Student Achievement: Exploring the School Library Impact Studies.” (accessed October 11, 2013). Loveless, Tom. 2011. 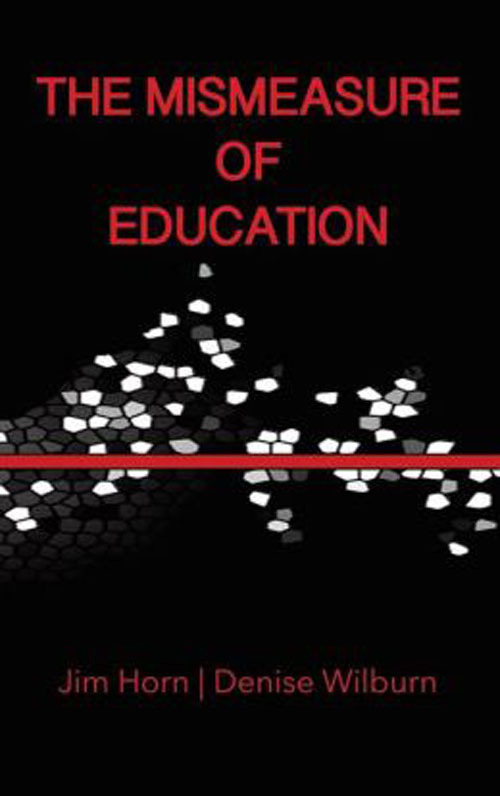 The 2010 Brown Center Report on American Education: How Well are American Students Learning? Washington, DC: Brookings Institution. (accessed October 13, 2013). Salzman, Hal. 2012. “No Shortage of Qualified American STEM Grads.” Debate Club (May 25). qualified-american-stem-grads> (accessed October 14, 2013). (October 29). (accessed October 14, 2013). Salzman, Hal, and B. Lindsay Lowell. 2008. “Making the Grade.” Nature 453 (1): 28–30. (accessed October 14, 2013). Teitelbaum, Michael. 2007. Testimony before the Subcommittee on Technology and Innovation. Making.” Journal of Scholarship & Practice 7 (4): 3–18. (accessed October 14, 2013). UNICEF Office of Research. 2012. Measuring Child Poverty: New League Tables of Child Poverty in the World’s Rich Countries. Innocenti Report Card 10. Florence, Italy: UNICEF Innocenti Research Centre. (accessed October 14, 2014). Weissman, Jordan. 2013. “The PhD Bust: America's Awful Market for Young Scientists—in 7 Charts.” Atlantic (February 20). (accessed October 14, 2013).